Come along to the first Espresso Unplugged pop-up for 2014. 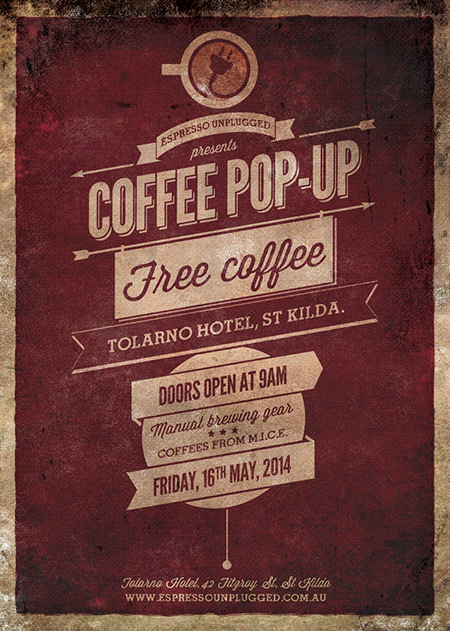 We’re setting up at the Tolarno Hotel in St Kilda on Friday the 16th of May. We’re planning on drinking our haul from the Melbourne International Coffee Expo (15-18 May) and we’ll need some help. The coffee’s free and there’s no entry fee for the pop-up. Come along and get blasted on good coffee with us.